Best Socks With a Lifetime Warranty - Buy It For Life! Best Socks With a Lifetime Warranty – Buy It For Life! Who knew you could purchase socks with a lifetime warranty? Socks of all things! No more worrying about wearing through your favorite pair of socks; no more getting dressed for work only to find a hole in the toe of your dress socks. Ever been frustrated with an expensive pair of socks not quite fitting the way you like? No more. With a lifetime warranty on your socks, you’re covered for – well – life! Which Lifetime Guarantee Socks Should You Buy? To put it simply, buying socks with a lifetime warranty saves you money in the long run. Of all the clothing items we wear, socks are probably the things that we go through the quickest. They are constantly in contact with the floor or our shoes, and all that friction burns holes through the toes and heels as well as our wallets. With a lifetime guarantee, you can replace those socks for free for life. Each pair may cost a little more up front, but in the long run, you’ll be saving money by never needing to buy another pair of socks. Another thing worth noting is that these socks are often made much better than your standard pack of tube socks. If companies are willing to back their products with a lifetime guarantee, they stand by their quality. So the question remains: which socks worth purchasing offer a lifetime guarantee? Here you will find several sock brands that offer lifetime – or near lifetime – warranties that cover various lifestyles, including active, outdoor, dress, and everyday use. Icebreaker socks are ideal for an active, cold weather lifestyle like mountaineering, hiking, and skiing as well as just playing in the snow. Available in man’s, women’s, and kid’s sizes, you are sure to find the perfect fit for the whole family. The material for Icebreaker socks is definitely worth noting as it is made with 85% natural fiber – mostly Merino wool – and only 15% man-made fibers making them breathable, odor resistant, and durable. While they are available in various cuff lengths, most of their best-selling models are medium thickness and over the calf length in their Ski+ line. Icebreaker backs their socks with a lifetime guarantee; you can return them for a full refund or exchange if you are not 100% satisfied. How Do I Exchange Icebreaker Socks? You can exchange your socks at your local retailer or mail them back directly with a prepaid shipping label. Just be sure to include a copy of your proof of purchase and allow a minimum of 10 days for processing. 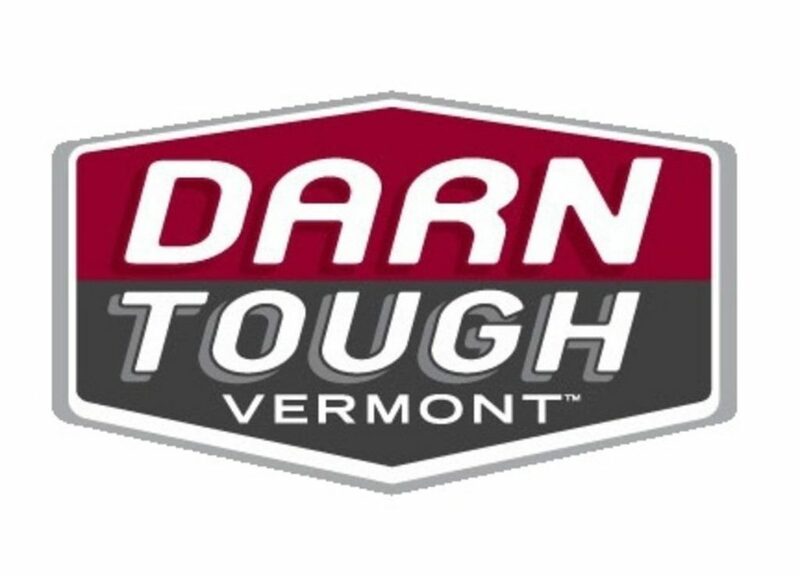 For 40 years, these Vermont-made socks have lived up to their name; they truly are Darn Tough. Most of their socks are made with ethical Merino wool, which has been globally sourced from sheep that have not been exposed to mulesing. In addition, their socks for active lifestyles and running are engineered with CoolMax, moisture-wicking man-made fibers. These socks are ideal for the outdoorsman (or woman). 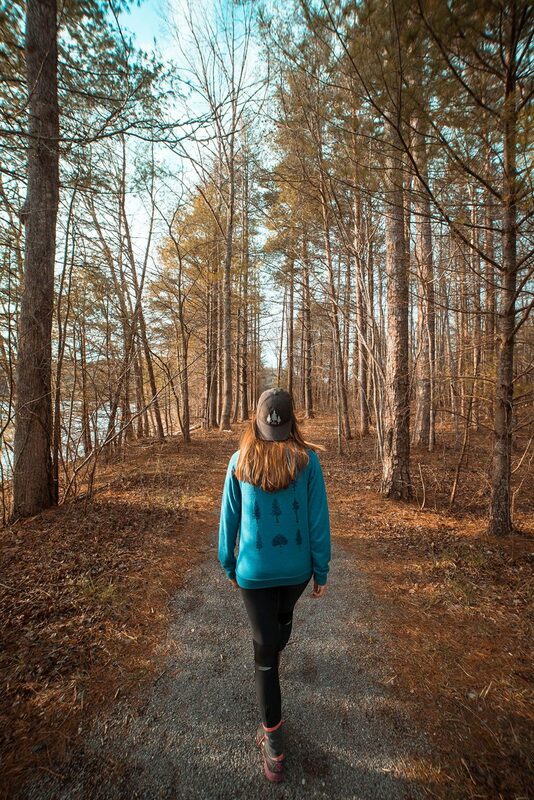 With their ability to regulate temperature and wick away moisture, you will stay cool in the summer and warm in the winter regardless of whether you are hiking, biking, skiing, or running. Darn Tough socks stand by the creed “No strings, no conditions, for life.r” Even if you wear holes in your socks by wearing them every day for five years, they will replace them for life. The only things that aren’t covered are damage by nature or theft/loss. How Do I Exchange Darn Tough Socks? In order to start your exchange claim under the warranty, fill out the online form first. Do not send your items without hearing from Darn Tough first. From there, they will aim to process your claim within 3 days of receiving it, and they will send you your replacement as soon as they receive your item(s). A house brand of Bass Pro Shops, RedHead socks are a staple for hunters and fishers alike. No more freezing in the blinds or on the boat at the crack of dawn. These socks are made from fine grade itch-free wool to keep you warm in the cold months. RedHead has also engineered their socks with compression technology to keep your blood flowing properly. Most RedHead socks are crew or calf cut, but they do have some low-cut options available if that is what you prefer. They also have double reinforced stitching in all stress zones like the toe and heel to ensure you don’t wear through them too quickly. If you wear through your socks at any point, Bass Pro Shops will replace them for you. However, if you just wish to return them due to fit or the fact you don’t like the color, the return or exchange must be completed within 60 days of your purchase. How Do I Exchange ReadHead Socks? Simply take your socks to any Bass Pro Shops store to start your exchange. You will need to have proof of purchase, but if you have lost it, they may be able to look up the transaction at the store. Most of my wardrobe is in muted colors, but if there is one piece I like to have a pop of color it’s my socks. Point6 socks not only offer great quality socks with a lifetime guarantee but they also have fun colors and patterns to keep you entertained. Most of their socks are marketed toward skiers, but you can also find low-cut options that are perfect for everyday wear. Made with imported Merino wool from New Zealand, these socks resist odor, wick moisture, regulate temperature, and are fine, soft, and durable. Point6 is also all about conservation. They practice fair trade, process their wool without harsh chemicals, and donate to conservation groups. With Point6’s lifetime warranty, your socks are guaranteed for life to recycle, repurpose, or return. They will also recycle your old socks into homeless relief blankets rather than throw them out – and give you a nice discount on your next pair. How Do I Exchange Point6 Socks? Visit Point6’s website and start your return by filling out the online form. They offer free returns so you don’t need to worry about absorbing the shipping cost. Feetures are engineered for performance making them the perfect sock for runners. They are designed with targeted compression where you need it most, a seamless toe for longer wear, and an anatomical design that conforms to the left and right foot structure. With iWick technology fibers, your feet will stay dry and blister-free on even the longest of runs. Most of their socks are low-cut, but you can also find some crew and quarter cut socks if that is what you prefer. These socks are made for your feet. No need to worry about them slipping off your heels or rubbing your feet raw while you are running. You can even find socks that are targeted to relieve plantar fasciitis. The Gaither family stands behind their socks, offering replacements at any time with no questions asked. Just be sure to follow the washing instructions in order to be eligible for replacement. How Do I Exchange Feetures Socks? Visit the Feetures website and fill out the online form or give them a call if you have any questions before starting the return process. Returns must be mailed with a receipt or order number. Allow 7-10 business days for processing. 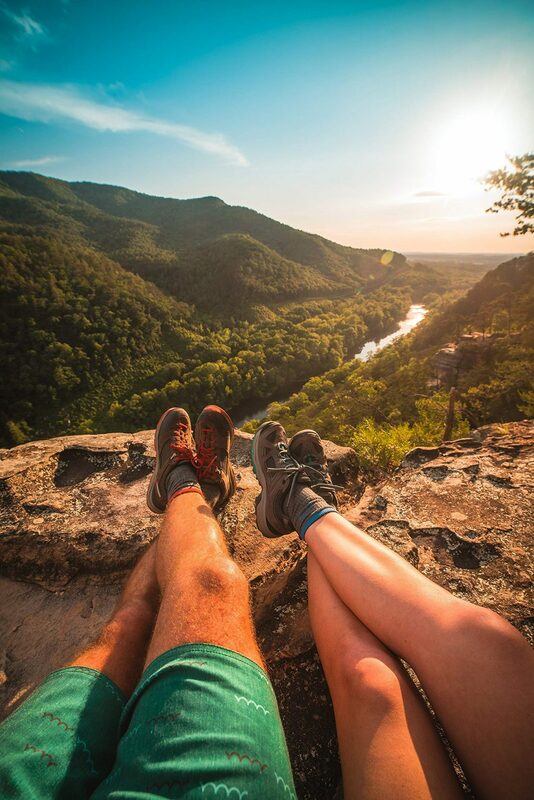 Created in Seattle, Washington, CloudLine Apparel is named for that feeling you get when you finally reach the summit of a marvelous hike, and their socks are made to help you do just that. 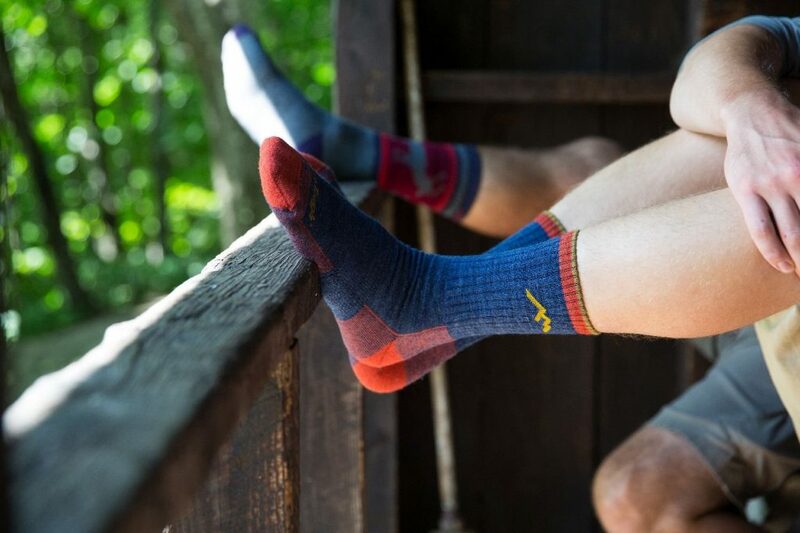 The majority of their socks are made with a blend of Merino wool, nylon, and spandex to keep your temperature regulated, your feet dry, and your socks in place on your hikes. These socks aren’t only for hiking though. You have a wide variety of lengths, styles, and weights to choose from, including socks for trail running and work. CloudLine offers one of the few no strings attached “buy it for life” lifetime warranties. They will replace them for life regardless of whether you wear a hole in them or simply lose one. How Do I Exchange Cloudline Socks? All you need to do is submit a warranty request on their website and they will get started on sending you a replacement. There is no need to even send your old socks back. There are few names more renowned for their rugged outdoorsy apparel than Eddie Bauer. Their clothing – and socks – are mostly intended for outdoor, cold weather wear, but they also have styles available just for lounging. With a cotton, polyester, and spandex blend, these socks are comfortable and conform to the shape of your foot. Thanks to CoolMax technology, their socks also wick moisture away to keep you dry. The one potential downside to these socks is the fact that most styles only come in one size. This may end up affecting the way they fit on your feet. If you receive your socks and find that they don’t fit right or if you are unhappy for any reason, you can return them at any time for a full refund or exchange. Just contact them via phone to get the process started. How Do I Exchange Eddie Bauer Socks? The order summary form included with your order comes with an exchange form and prepaid return label in the case that you need to send them back. Be sure to fill it out and include it with your item(s), and allow at least 14 days for processing. Looking for high quality every day or dress socks? Lands’ End will likely have what you are looking for. A Stellaservice Elite award winner in 2016, Lands’ End offers dress, every day, boot, performance (no show), and school uniform socks in women’s, men’s, and kid’s sizes. You can also find tights and knitted slipper socks. Most of their everyday socks are made from a Supima cotton blend (with polyester and Lycra) with reinforced toes and heels to prevent them from wearing too quickly. You can even find some fun patterns for the holidays. Lands’ End socks do run a bit high in price, so it’s a good thing they offer refunds or exchanges at any point after your purchase. Just be sure to hold onto your packing slip and/or receipt. How Do I Exchange Lands’ End Socks? You will need to download and complete the return/reorder form and include proof of purchase with your item(s). Also, note that you will be responsible for the $6.95 shipping to send your items back, but Lands’ End will cover the shipping on your new item(s). Jox Sox are all about sports, covering styles for running, hiking, biking, golf, basketball, and tennis to name a few. They have engineered their socks with every type of technology necessary for comfort and performance. Airflow technology keeps you cool while moisture management keeps you dry. With impact pads, massaging bottoms, and a contoured fit, your socks will stay in place while keeping your feet comfortable. Their socks are also equipped with compression technology to help improve your circulation both during and after exercise. It is important to know that Jox Sox lifetime warranty does guarantee your socks for life. If you want a refund though make sure to have a copy of your receipt handy since you’ll need it for the refund if your socks have been purchased directly from Jox Sox. How Do I Exchange Jox Sox Socks? You need to download and complete the return form available on the Jox Sox web page. Include the completed form and receipt with your item(s) to receive your free replacement or refund. Inspired by the Italian word senza – meaning “without” – Zensah’s mission is to help athletes reach their ultimate performance in ultimate comfort without limits. While Zensah offers many sock options, their Grit Running socks – available in no-show, quarter, and crew cuts – are definitely worth noting. Their Merino wool and polypropylene blend regulates temperature while providing durability. Hexo-padded technology reduces impact and provides abrasion resistance. 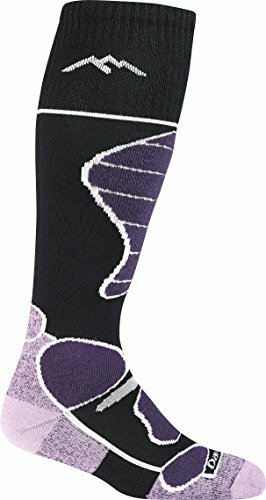 They have also incorporated a seamless toe and designed these socks with an anatomical fit that conforms to the unique left and right foot shapes. You are allowed to exchange your socks anytime for a new pair if you aren’t satisfied; returns for a refund must be within 30 days of your initial purchase. Zensah does not provide return labels so you will be responsible for the charges. How Do I Exchange Zensah Socks? Download the exchange form and make a note of the product you would like to exchange for. Once Zensah receives your item(s), allow 3-5 days for processing. If you are an active person – running, cycling, hiking, etc. – your feet take quite a beating on a regular basis. Swiftwick socks aim to reduce the wear on your feet as well as your socks to ensure nothing holds you back. They don’t have a lot of variety in their socks, but they do have moderate cushioning with both Merino wool and synthetic fiber options. You can also find some fun colors and patterns to fit your personality. Check out one of their best-selling styles, ASPIRE, which incorporates firm compression to reduce fatigue and a thin profile for responsiveness. Swiftwick believes their socks are the best socks you will ever wear. Guaranteed. And they back their belief with a lifetime warranty. This guarantee only covers products purchased from the site and does not include loss or damage due to fire, flood, or any other natural disaster. 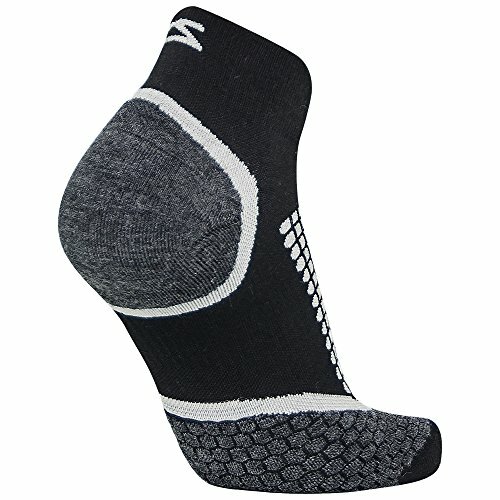 How Do I Exchange Swiftwick Socks? Before they can issue a refund or replacement, Swiftwick requests that you fill out the online form to determine eligibility. Once they have approved your case, then you may send them your product(s). Allow up to 3 days for processing. A lot of high-end socks are made with Merino wool, but Altera uses Alpaca fibers to create a highly advanced sock for hunting, hiking, or everyday use. Alpaca is warmer than wool yet cooler than cotton as well as naturally moisture wicking, thermal regulating, and oh so soft. Many of Altera’s socks also infuse silver into their fibers to help control unwanted odor. They have three types of socks to choose from. The Conquer is their lightest sock for everyday wear. The Prevail is intended for wear with tall boots when hunting, hiking, or skiing. The Explore sock is made for maximum impact protection while only being slightly heavier than the Conquer sock. If you aren’t satisfied with your purchase, you can return them anytime. Just make sure you have both socks, they aren’t damaged by fire, and that you clean them before shipping them off. How Do I Exchange Altera Alpaca Socks? Contact Altera to get your exchange process started. They will pay for postage and send you a new pair as soon as they receive your old ones. Note that it may take up to 30 days for you to receive your replacement. Blueguard may not have a lot of options with their socks, but when you find a formula that works, why would you need anything else? These work socks are nothing like others you’ve had, which are often just “sports socks” in disguise. These are the ultimate anti-abrasion socks, proven to last 46 times longer (925,000 cycles vs. 20-40,000). Their blend (63% cotton, 32% polyamide, 4% polypropylene, 1% Lycra) absorbs little moisture and dries quickly while retaining its high tensile strength and flexibility. They are also very comfortable with full cushion and arch support. Blueguard can be a bit particular with their lifetime guarantee as it only protects against manufacturing defects. It does not cover damage caused by accident, improper care, misuse, abuse, or abnormal usage. Each case will be individually inspected. How Do I Exchange Blueguard Socks? There is no need to contact them before sending out your socks. Just mail them out with your proof of purchase and they will send you a new pair within 10 days of receiving your claim. If you have any questions about eligibility, be sure to give them a call. These are the “greatest socks never sold” because a pair purchased means a pair donated. Bombas has committed its company to the needs of homeless shelters around the country, donating the most requested pieces of clothing: socks. Derived from the Latin word for bumblebee, Bombas socks incorporate a honeycomb structure into each sock which hugs your foot where it needs it most. Get warm and cozy with Merino wool or get active with premium long-staple cotton. You can also count on anti-microbial fibers, a Y-stitched heel with reinforced seams, and a comfortable footbed. Bombas actually has two guarantees they offer. Their Happiness Guarantee covers free returns and exchanges with no time limit if you aren’t satisfied with your purchase. In addition, their Laundry Back Guarantee covers lost sock replacement for up to 1 year after purchase. How Do I Exchange Bombas Socks? There isn’t much info on the particulars of exchanges, but you can fill out the online form to get more information on your particular case. Once you are instructed by Bombas to send your item(s) back, they will cover shipping charges. The following brands offer not quite a gurarantee for life but you will get some years of warranty after your purchase. Smartwool has so many choices when it comes to their socks. With different cuts, weights, and purposes, it can be a bit overwhelming to find what you are looking for. Well, you won’t be left fending for yourself, searching through every type of sock to find what’s right for you. Smartwool has a sock finder that will take you right to the sock you need after answering a few simple questions. All of their socks are made with Merino wool and nylon (for flexibility) with ventilated areas for breathability and virtually seamless toes to reduce blisters. They truly do abide by the three pillars they stand behind: comfort, fit, and durability. 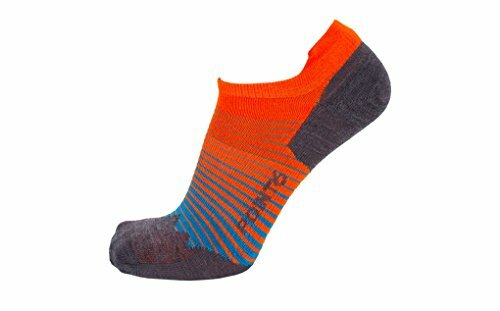 Smartwool guarantees their socks for up to 2 years after purchase. They also offer free returns in the 48 contiguous states for wrong color, size, or style. 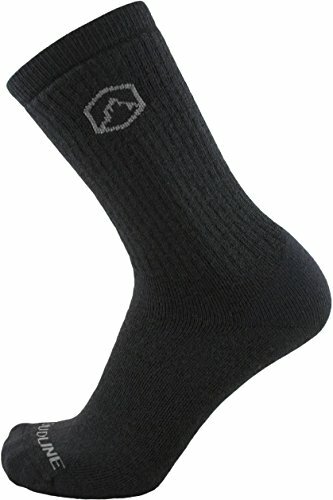 How Do I Exchange Smartwool Socks? In order to exchange your socks, fill out the online form and they will contact you with instructions. Allow 4-6 weeks for processing after you send your product out. Fox River has been making socks for over a century now right in the heart of the USA, and since 1971, they have been devoted to creating environment-friendly products with FoxSox. 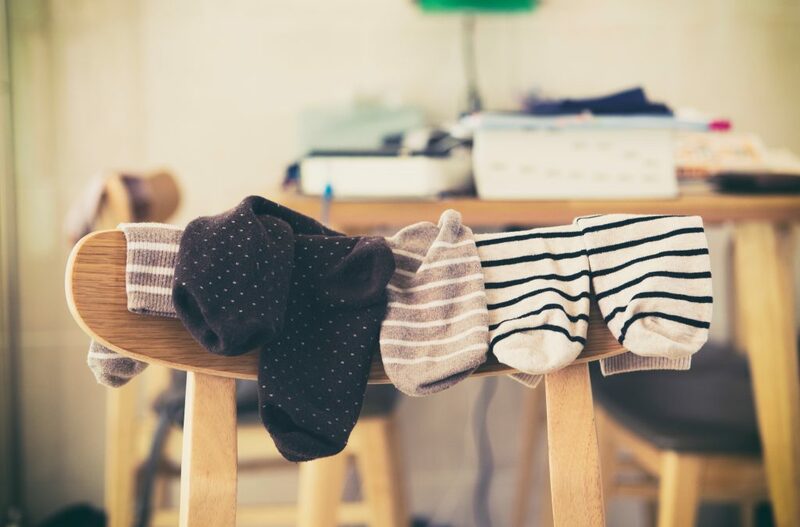 Each sock is treated and washed with an organic, petrochemical-free, pre-shrink treatment to reduce the number of toxins your body and the earth are exposed to. Merino wool is the main ingredient in their fiber blend making these socks odor-resistant, moisture wicking, temperature regulating, and friction-free. This makes them great for hiking and other outdoor activities. Fox River is also committed to our military, offering you the opportunity to shop from soldiers’ wish lists. Any purchases made from these lists will be shipped for free. You have up to a year to return or exchange any products you aren’t happy with. Be sure to read the fine print and follow all instructions when returning as you will be responsible for shipping costs and may be charged a 15% restocking fee if you don’t follow guidelines. How Do I Exchange FoxSox Socks? If you purchased your socks from foxsox.com, return your socks with a dated receipt and completed return form with your new order to receive your new pair. If you purchased from a retailer, just return to the store with your receipt to get a new pair. LL Bean is another company, like Eddie Bauer and Lands’ End, that is known for its high-quality outdoor apparel. It’s not surprising that they also offer an extended warranty to back their products. Though they sell various types of clothing, their socks are definitely worth noting. 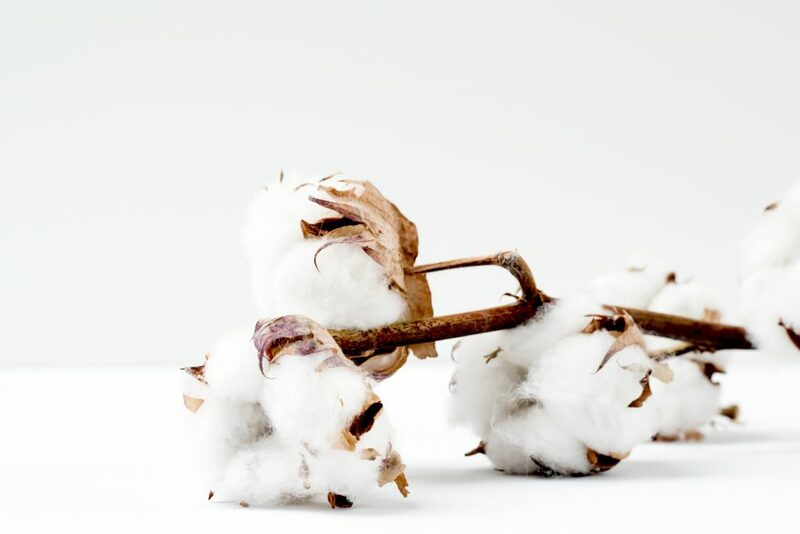 They have options available in Merino wool, fleece, CoolMax technology, cotton, and man-made blends. You can also find options that are anti-odor, breathable, bug-repellant, moisture wicking, waterproof, and even offer compression where it’s most needed. Of all their socks, their boot socks come very highly recommended which are made with Merino wool and CoolMax to keep your feet both warm and dry. LL Bean back all of their products with an extended one-year warranty. Anything beyond a year may still be considered for exchange if there is a defect due to materials or craftsmanship. There are some cases that are not covered including any damage due to misuse or negligence, any obvious accidents, excessive wear, missing or defaced labels, or anything that is soiled or contaminated. How Do I Exchange LL Bean Socks? Start by calling the toll-free number you can find on their website. When your new item is shipped, they will waive the shipping fee, but you will be responsible for the $6.50 UPS fee when returning your used item. Not all socks are created equal just like no two feet are the same. How you determine what type of sock is best for you is all going to depend on a few factors. The first determining factor in your search for socks is the primary activity you intend to use them for. This will help you narrow down the height, weight, amount of compression and cushion, and material type you need to help them last longer and keep you comfortable. Socks for every day or work use don’t need to be anything too fancy. You will likely want something that is comfortable and relatively low profile. They should be thin enough to fit into the shoes you wear every day. In addition, the cut is completely up to you. You may prefer no-show for your slip-on sneakers or you might like to have a higher crew cut to wear with your suit and dress shoes to work. Outdoor socks should be a bit more rugged. Look for reinforced stitching in the toes and heels as these areas are high stress and get worn through pretty quickly when you are on your feet a lot. The thickness, material, and cut of your outdoor socks will be highly dependent on your primary outdoor activity, but we will go into this in a bit more detail shortly. If you are a runner, you need to pay very close attention to the socks you buy. Running socks are some of the most highly engineered in order to keep your feet comfortable, dry, and blister-free. Look for something low or quarter cut (unless you need leg compression) that offers arch support and breathability. Seamless toes are nice for preventing blisters and the material should be able to wick away moisture. When it comes to hiking socks, durability is a must as well as a higher cut. Nothing is more irritating than constantly having to fix a sock that is falling down inside your boot. You will likely want something that regulates your temperature, keeping you cool in the summer yet warm in the winter so you can hike all year round with the same socks. Sports socks can be a bit tricky, especially if you play multiple sports year round. However, there are few key features to look for that are relatively universal amongst all sports. First, you want some cushion to protect the balls of your feet when you are jumping or stopping abruptly. You will also want to look for a cuff that has enough elastic to keep it in place without creating an indent in your leg or affecting your circulation. Obviously, for cold weather sports warmth is a must, but that doesn’t mean you should run for the thickest wool sock you can find. You also want something that wicks moisture since your feet can get pretty sweaty inside those boots. Most socks for skiing and snowboarding should also be long, perhaps even covering your entire calf. Make sure they have enough elastic in the cuff and compression in the feet to keep them in place. While it’s true that many people wear compression socks for medical reasons, they can be beneficial for people who travel a lot, sit all day at work, or simply exercise on a regular basis. Compression socks are supposed to be tight, so you want to look for either a synthetic material or a blend that has a lot of stretch to it. Sock materials not only affect the way they feel on your feet but they also determine the socks’ breathability, moisture absorption, temperature, and odor resistance. Certain synthetic materials work well for socks but only when they are in a blend. Nylon adds durability while Lycra and spandex give them the ability to stretch. When combined with other natural fibers, you can have a pretty decent sock for an active lifestyle. When used alone, you will end up with a sock that is uncomfortable and doesn’t breathe very well. Cotton is the cheapest and still the most widely used material for socks. It may seem like a good choice since it is natural and somewhat breathable, but what’s good for a T-shirt doesn’t necessarily work for a sock. Your feet sweat and cotton absorbs that moisture. Trapped inside a shoe, the moisture has nowhere to go leaving your feet wet, stinky, and prone to blistering. When you think of wool, you likely think of thick, warm, and itchy material, but Merino wool is quite different. It is soft and breathable making it more comfortable and able to regulate temperature. 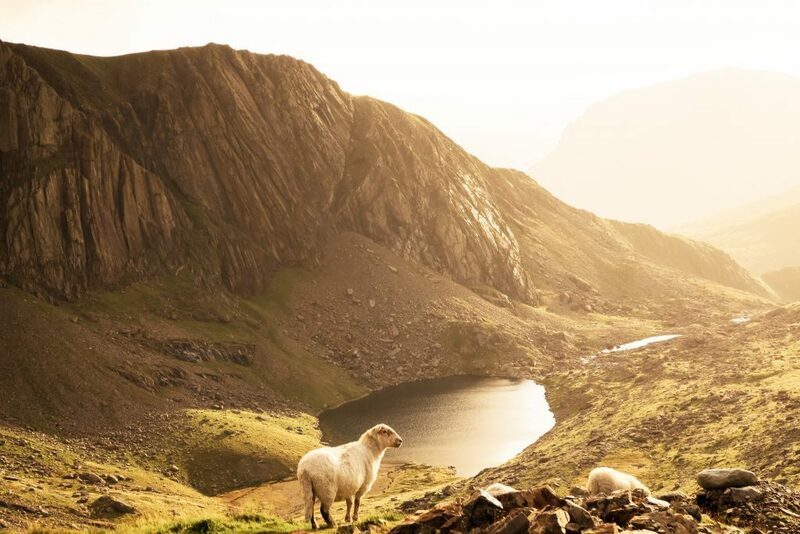 Merino wool is also able to wick away and evaporate moisture naturally so your feet stay dry and comfortable. It may be a bit more expensive than cotton, but it definitely performs well. Alpaca fiber is comparable to wool (particularly Merino) but it does things just slightly better. It is more breathable, naturally moisture resistant, has a higher tensile strength, and better thermal insulation. 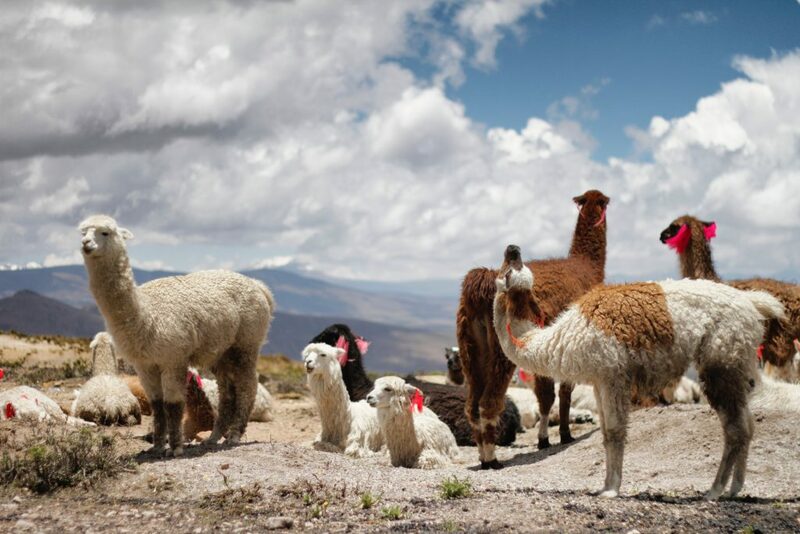 The biggest difference between alpaca and wool is that alpaca is hypoallergenic since it is naturally lanolin free. Of course, all of these factors make alpaca socks quite a bit more expensive. Nothing compares to the sheen and vibrancy of silk; one look and we immediately picture riches and luxury. However, silk socks aren’t exactly the most practical. They are highly prone to snags and have a tendency to slip and cause abrasion in your shoes (if they aren’t a silk blend). Silk can really only be worn during the warmer months since there is no insulation. Overall, silk socks are mainly just for show and aren’t the best choice for a performance sock. You may think that silk is the most luxurious of sock materials but bamboo has much better natural qualities while still feeling silky soft. 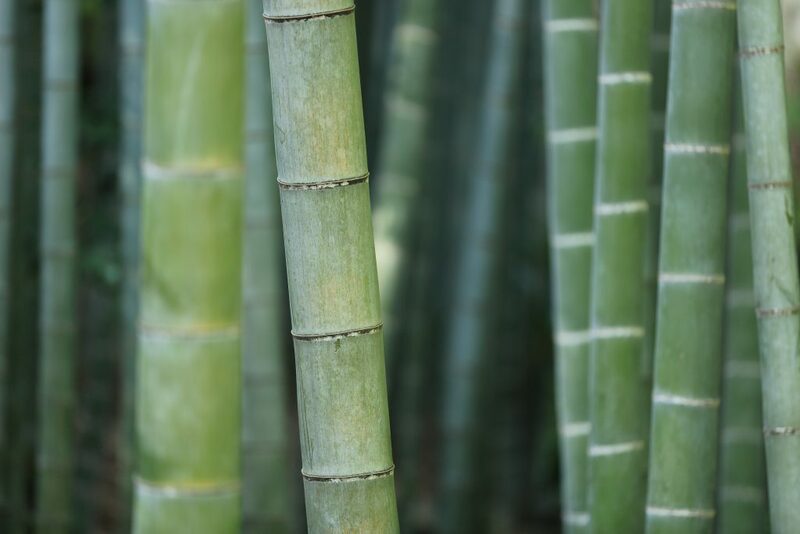 Bamboo fiber is softer and more breathable than cotton as well as naturally odor-resistant, durable, and hypoallergenic. If you find that you like bamboo socks, you can expect to spend a pretty penny on a decent pair – especially if they come with a lifetime guarantee. The most likely thing to make or break a sock sale is how comfortable they are. You don’t want to end up walking around with a sock that is falling down, rubbing a blister onto your heel, or driving you crazy with itchiness. Your socks should act as an extra layer of skin, conforming to the unique shape of your foot and staying in place. Socks that fit poorly tend to slip a lot which is not only annoying but can also end up rubbing your feet raw. Make sure you pick the right size for your feet. A sock’s ability to wick away moisture is important but so is ventilation. Some of the best running socks have thin woven or slightly netted portions over the top of the foot to allow air flow and breathability, helping to regulate temperature and reduce sweating. It may not seem like it makes much of a difference but having a bit of padding in your socks can really reduce fatigue when you are running or playing sports. That extra layer of cushioning can help absorb shock and prevent injuries. Ever worn a pair of flat soled shoes – like Chuck Taylors perhaps – all day and ended up with sore feet by the end of the night? It may seem like a small thing, but arch support is crucial for keeping your feet comfortable for hours on end. The best socks have extra elastic and compression around the arch of the foot to help it keep its natural shape and reduce stress and soreness. Sock height requirement is heavily – if not solely – reliant on the type of footwear you put them in. A pair of low cut, no-show socks would not be ideal for a pair of boots; similarly, you probably don’t want to wear knee-high socks with your running shoes and shorts (unless you’re into that style!). While it’s true that most sock holes are due to wear in the fabric over time, faulty stitching can also be a huge factor. Thick stitching in the toes can also be your arch nemesis as you end up with blisters time and time again. Many sock manufacturers are starting to create socks with less stitching and virtually seamless toes to reduce the likelihood of manufacturing defects and rubbing against your toes. There is no denying that everyone’s feet sweat – a lot! And when they are trapped inside of shoes all day, there’s nowhere for that moisture to go and you end up with smelly feet. We’ve seen that there are socks that have anti-odor properties, but what exactly makes them able to resist the stink? Well, first you should know that the smell is caused by bacteria and fungi that grows in the dark and damp environment inside your shoes. The material makes a big difference. Some natural fibers we have looked at like bamboo and alpaca are anti-microbial and able to resist odor naturally. 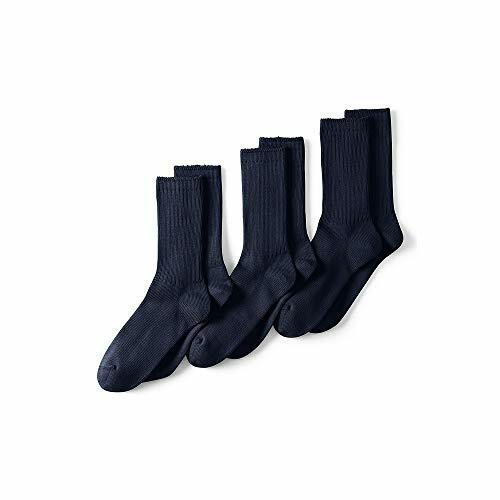 There are also sock blends that incorporate silver fibers due to their antibacterial properties. Everyone’s feet are different and so is every person’s sock needs. While the possibilities seem endless, I will focus on four main activity categories and our top recommendations for each. While most of their socks are marketed toward skiers, I really like Point6 socks for every day wear. Their low cut socks work great with nearly every type of sneaker and their brightly colored materials are just fun additions to your wardrobe. For the outdoorsman (or woman), RedHead socks are my top recommendation. They are rugged and warm making them a great choice for hunters and fishers. It’s also a big bonus that exchanges can be done in Bass Pro Shops stores with no need to ship them back and wait for your replacement. Every runner needs a good pair of socks, and Feeturesare engineered to work with feet that are constantly on the move. With iWick technology to keep your feet dry and technology to relieve plantar fasciitis, your feet will be happy during your 5K or marathon. Whether you travel regularly for fun or for work, Altera Alpaca socks should be on your packing list. No need to worry about baring your smelly feet when you take your shoes off at the security checkpoint since Altera’s socks are odor-resistant. You will also be comfortable no matter the unpredictable temperature on the plane or at your destination. 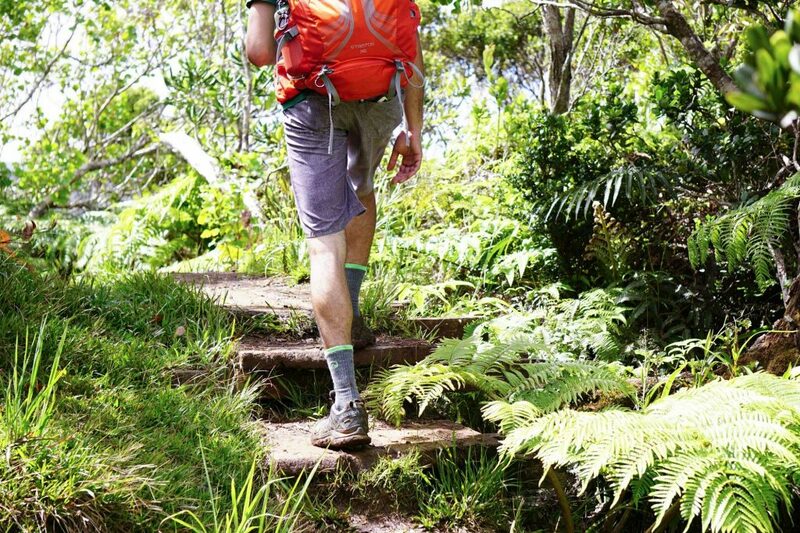 Take a look at our other travel gear guides such as the best compression socks for travel, the best merino wool socks and other top rated travel gear.